For over 12 years the National Space Centre has hosted amazing family and fan weekend events to celebrate a galaxy far far away. 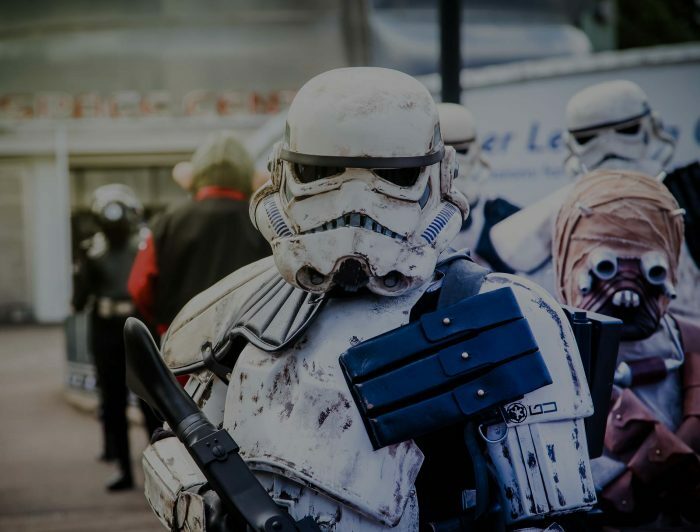 This year they are launching a very special “adult only” evening of music, art, science, fashion and food, that will be dedicated to celebrating the Dark Side of the Force, with maybe a hint of the Rebellion! Blues Harvest will be taking to our main stage to rock this Cantina all night. With Lapti Nik on lead vocals and guitar, Sham Solo on guitar, Bass Windu on bass, General Groovus on the drums and Androo Detoo on the keys. Their catwalk and market will be dedicated to some May the Fourth inspired fashion. Shop till you drop, or just see some geek chic on display. Join our Jedi Master to learn the ways of the Force. Lightsabers provided, plus a whole lot more. Check out the website for more details.